At about 4:00 a.m. on 2 August 1989, Renata Wolanin told her husband she was going for a walk, but she did not take her keys, purse or car and was only dressed in night attire. 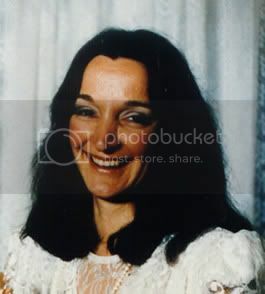 On or about 2/8/1989 Renata WOLANIN disappeared from her Linden Park home, SA. The last possible sighting of her was believed to be at a Mobil Service Station at corner Glen Osmond and Port Rush Rd in the early hours of that date. ADELAIDE The South Australian Coroner has found that an Adelaide social worker is presumed dead, almost 20 months after she disappeared after leaving her home on an early-morning walk. Coroner Kevin Ahem made the finding yesterday after receiving no new evidence about the disappearance of Renata Wolan in, 41, from her home in suburban Linden Park in the early hours of August 2, 1989, after reportedly going for a walk. ON a cold, rainy morning in August, 1989, Renata Wolanin left her Linden Park home in her pyjamas. Ms Wolanin, who was 40 at the time, left her Verdale Ave home barefoot in the early hours of the morning, husband David Wehner told a coronial inquest in 1991. He said he believed his wife had ``gone for a walk'' after a fight over renovations. In 2005, Major Crime detective Sergeant Michael Standing said police had no evidence to indicate Ms Wolanin was still alive. A neighbour told the inquest she saw a car leave the couple's house about 4am, but could not identify it. Ms Wolanin was presumed dead by the Coroner, but there was not enough evidence to find if her disappearance was due to murder, suicide, an orchestrated effort or accidental death. After his initial claim for his wife's entire estate was disputed by her parents, Mr Wehner secured a $50,000 out-of-court settlement in 1992. The family of the missing woman say they have believed for 18 years they know who killed her and hid her body. Her brother, Andrew Wolanin, said in 2005 he was positive his sister was dead. But he - like the investigating detectives - does not have enough evidence to prove his theory. He said he believed there were people with information that might still help police. Renata Wolanin left her Adelaide house on a cold, rainy night in 1989 barefoot and wearing only her pyjamas. More than 27 years later her family fear they will never know what happened to her now that the prime suspect in her assumed murder, her husband David Wehner, is dead. Her niece Michelle Wolanin said she was 'annoyed that he has gone to his grave and got away with it' but hoped someone might now feel safe enough to come forward. 'If there is anyone who knows something and has been afraid of him and had a fear of some sort of reprisal, then it’s now open slather. You do not need to have that fear any longer,' she told Adelaide's Sunday Mail. 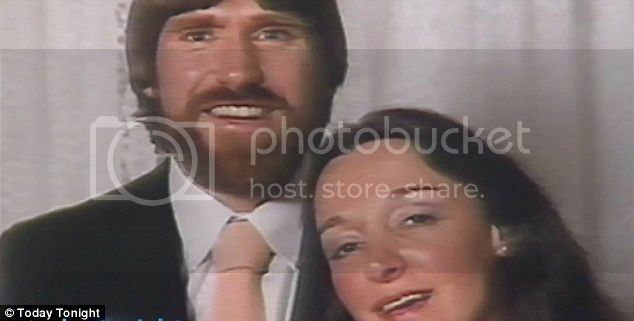 The newspaper discovered this week the American-born Mr Wehner, who left Adelaide soon after his wife's disappearance died in Sydney aged 62 in June. Ms Wolanin knew Mr Wehner could never be put on trial, but at least her aunt's body may be and given a proper burial even if she never got justice. Renata Wolanin, then aged 41, said she was 'going for a walk' after a fight with her husband over the cost of curtains and renovations at about 10.30pm on August 1, 1989. Mr Wehner, a former US Army military policeman, told police he awoke at 5 or 6am and there was no sign of her. She did not show up for a new job that day either. Ms Wolanin said she never believed her uncle-in-law's explanation and never believed Renata would run away voluntarily because she was too close to her parents. 'It was all a lie. I didn’t believe what I was being told, never did and still don’t,' she said. Her father Edward died in 2002 aged 79, and her mother Wanda died in 2012 aged 92. Her brother, Andrew, who is Michelle’s father, passed away in 2010, aged 59. 'They were devastated. It upsets me there was never a resolution for them; no closure before they died,' she said. Mr Wehner moved to Perth where police said he was likely 'involved with more than one woman', before studying in the U.S. and later living near Wagga Wagga, NSW. He was extensively interviewed but never changed his story, remaining a person of interest until his death. In 1992 he was given a $50,000 payout from Renata’s estate. There is a $200,000 reward for information leading to the recovery of Renata’s body.